2 hour coastal cruise to Australia's largest breeding colony of fur seals, includes commentary, wildlife information, children's activities, and free tea, coffee and cake. 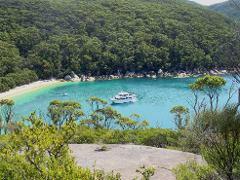 1 hour scenic cruise departing San Remo Jetty to witness the magnificent granite cliffs of Cape Woolamai. 1 1/2 hour scenic sunset cruise in Westernport Bay, includes light nibbles, licensed bar, commentary, and regular seal and dolphin sightings. 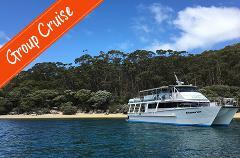 A full day cruise around the spectacular coastline of Wilson's Promontory and a stop over at Refuge Cove, including all meals & refreshments. 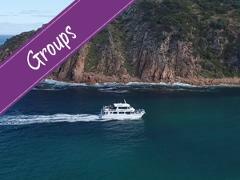 Scenic 4 hr cruise along the northern coast and islands of Wilsons Promontory. 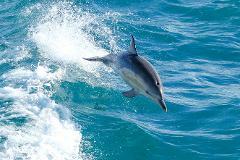 Enjoy views of the coastal national park, regular seal, dolphin and seabird sightings. Includes lunch and afternoon snack. 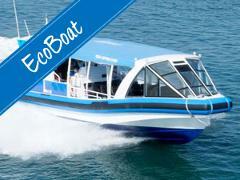 EcoBoat Adventure Tour to Seal Rocks, Australia's largest fur seal colony. 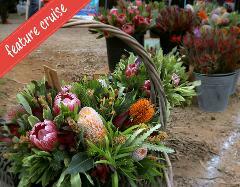 Visit Victoria's famous Red Hill Market, and enjoy a relaxing return bay cruise to Stony Point. 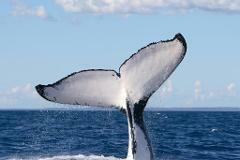 Embark on a 4 hr winter whale adventure discovering Phillip Island’s picturesque coastline. Search for Humpback and Southern Right Whales on their annual migration route regularly joined by playful dolphins pods. Set sail on a 3.25 hr winter dolphin & whale adventure venturing past the sheer cliffs of Cape Woolamai and along Phillip Island’s southern coastline. 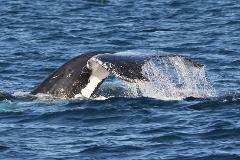 Search for Humpback and Southern Right Whales on their annual migration route. 6 hour cruise along Wilsons Promontory in search of the majestic Humpback Whales, with regular dolphin, seals and seabird sightings. Includes morning tea, lunch, and afternoon tea. 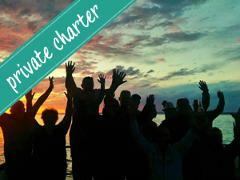 Charter the boat privately from $1100 per hour for groups up to 100 passengers. Available for private or corporate functions and special occasions. Choose your departure time, location and duration of the cruise. A Gift Card towards any of our cruises. 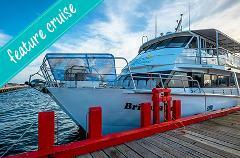 $50 Gift Card towards any of our cruises. $100 Gift Card towards any of our cruises.